The right wedding dress is essential and by far more important than the rest of the wedding accessories. It will turn you from a woman into a princess and will place you in the center of the universe at least for a day. So, when the date for the big day has been firmly set, it is time to think about the perfect dress. We must admit that choice is so incredibly rich that picking the right one for you can be a challenging adventure. This is the reason why we have come up with a few pieces of advice, which should help you make the correct choice for a flawless wedding dress. The key lies in the following – you should take into consideration your body structure when choosing a dress. The ladies, who have just a few extra pounds on the hips, should avoid the straight silhouette dresses. A much wiser approach would be to opt for the flared models. This type will balance the overall impression and will conceal the minor flaws in your figure. Now, in case you are one of those krinolin admirers, we need to point out that it is not a good choice in case you are a bit short. Dresses with large volumes will visually lower you, so try to avoid them or at least attempt to reduce the volume a bit. The ladies with wide shoulders should be careful with regards to the dress straps. The thin ones should be replaced by broader ones. Try adding a few decoration pieces, such as flowers for example. Some extra lace on the straps will also be helpful. In case you are not confident as to how to proceed, it might be wise to consult a professional. The finishing touches of your outfit would be the cuffs or the gloves, which should of course be synchronized with the dress – short sleeves and long gloves would not really look good, so do try a few different combinations. 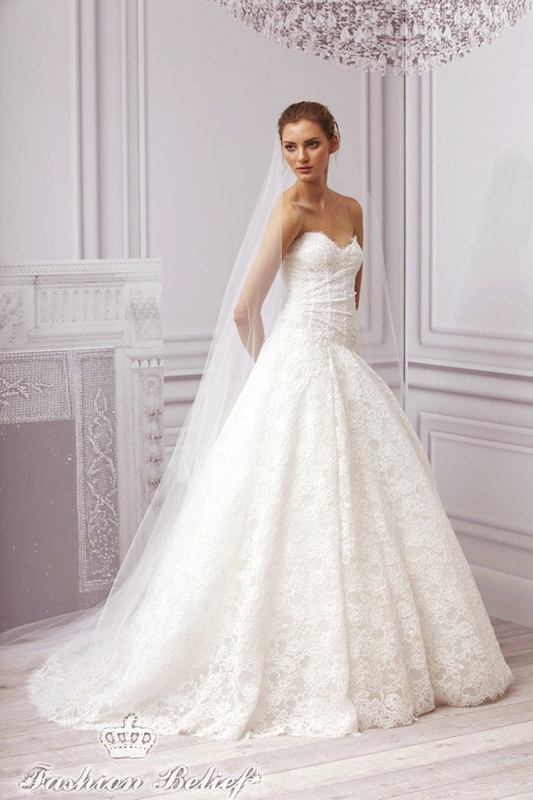 Choosing the right wedding dress is time consuming, so start as early as possible. The best approach would be to try as many models as you can. The rest of the wedding accessories can wait, as the leading motif will be your wedding dress.